The most well-known bread of Hong Kong, Bo Lo Bao represents our food culture and how we interprets bread in this city. “Bo Lo” is the Cantonese of pineapple, wheareas “Bao” is bread. This bread features a golden pineapple-like pattern pastry on top, and therefore the name. Is there pineapple inside? No! It’s no surprise the name of Chinese food or dishes sometimes may be a metaphor of something else. 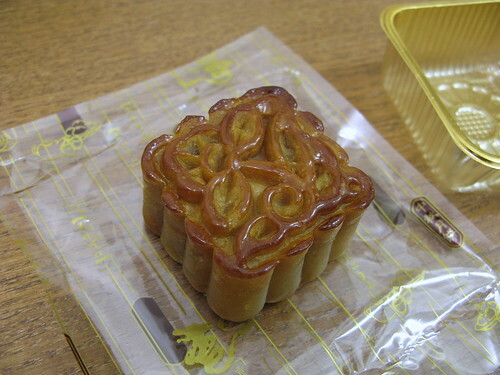 The name “Mooncake” is one of the examples. 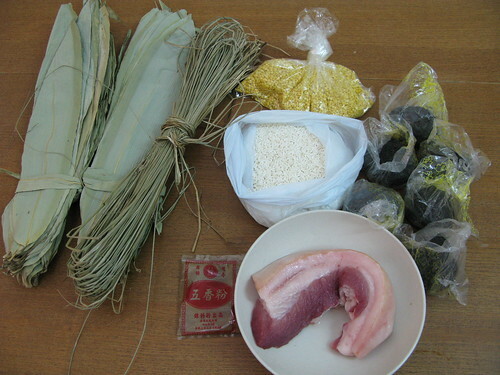 Bo Lo Bao is a product of “East meets West”. One common story about the origin was people wanted more from traditional western style buns, and hence used sugar, egg, shortening, flour etc and created a pastry for the top. This bread has a crispy top, soft crumb, golden color, enriched flavor and short fermentation time. It exactly tells our preference for a variety of characters in food at a quick speed. 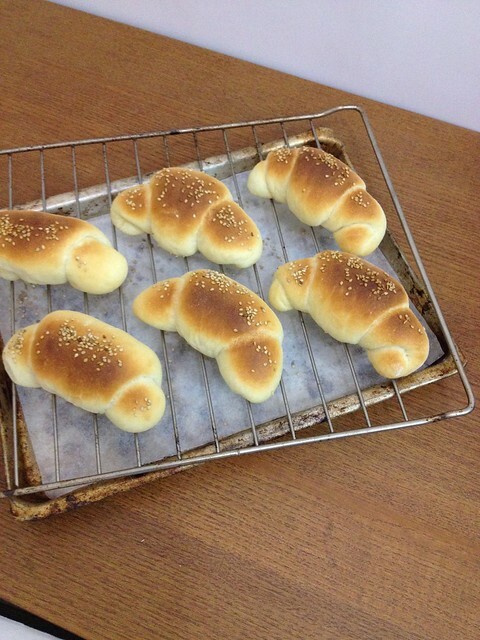 Because of the crispy crust and enriched flavor, this bread is also suitable to serve hot or warm. I do appreciate the creativeness and originality of this bread, and I like it when I want something savory. Notwithstanding our culture is used to have soft, warm and savory bread, it is not easy for people to pay more attention to an authentic sourdough. Um, let’s hope time will change this! Mix all of the above and divide into 6 portions. Shape into balls. Afer the 2nd fermentation of the sweet buns, use your palm or a chopper to press the topping into thin round slices. Size would be slightly bigger than the diameter of the dough (refer to photo). Place on the dough and brush with egg wash. Use a toothpick to make crisscrosses on the topping. Bake at 200C for 16-17 mins until the top becomes golden brown. Serve warm. I like dim sum and Chinese festival food, although they are fading as time goes. 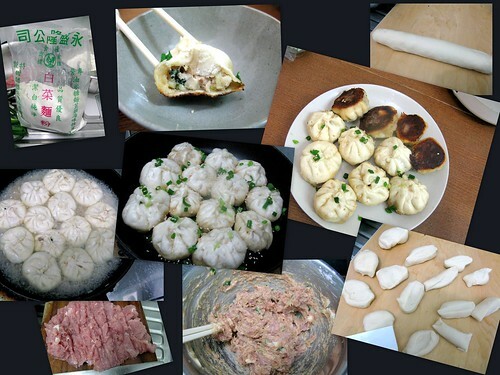 I learnt to make some of them from a chef few years before, including the below Chinese New Year sweet dumplings. 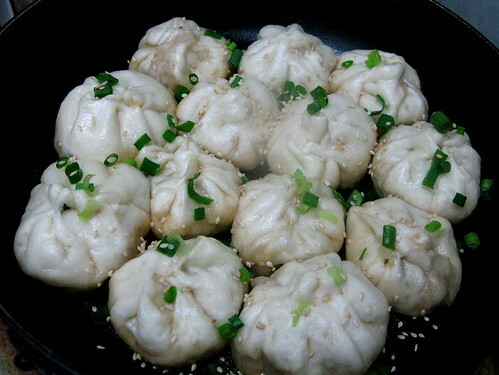 I looked for the English name of the dumplings on the internet, and there were many versions: “Fried Triangles” (well they are not triangles), “crispy peanut puffs” (there are other fillings in these dumplings), “Yau Kok” (the Cantonese pronounciation), “Yau Jiao” (Mandarin version). I think we better standardize the English name in order to better promote these delicious food. I now will just call them “Chinese New Year Dumplings” which should be the easiest to remember. 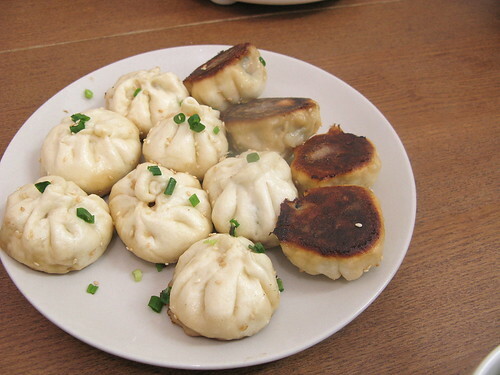 These dumplings consists of a sweet filling wrapped in a piece of dough. They look similar to the savory ones but are sweet and deep fried. The dough is made of egg, sugar, flour, water and lard (or shortening), and let rest for a while before shaping. 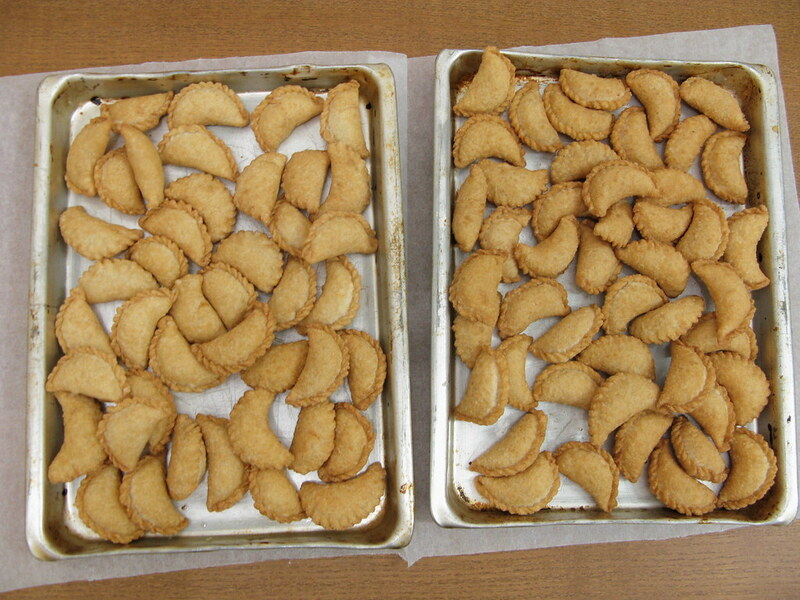 It’s similar to making a flaky pie crust, so you can imagine the texture of the dumplings is also similar. 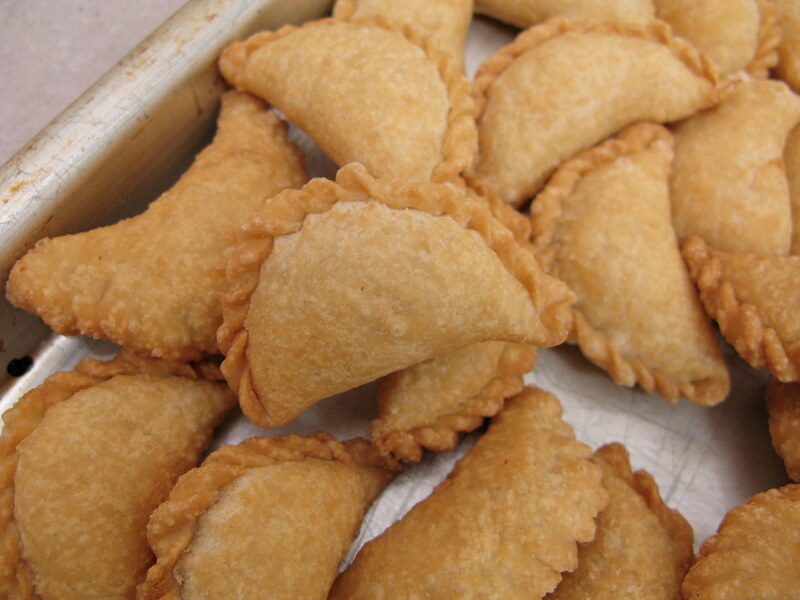 In the filling, there are sugar, desiccated coconut, peanuts and sesame seeds. The dumplings resemble ancient Chinese gold ingots, hoping each other to make more money by giving them out or eating them. 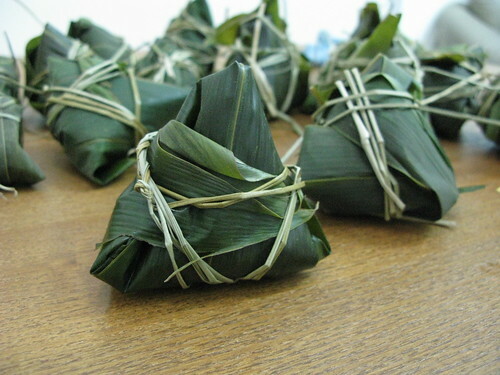 In the old times people would make them at home before Chiense New Year. It’s less common now. Luckily my brother likes them so I have a chance to make some. Today is the day before Chinese New Year. Happy CNY! 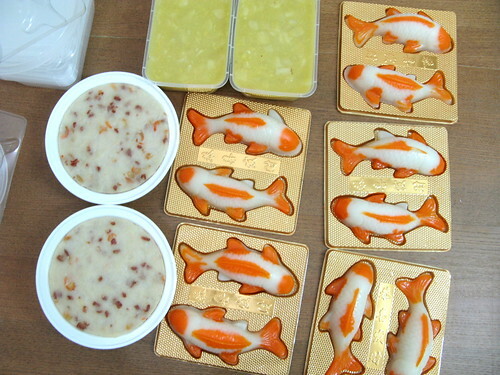 Today is the Mid-Autumn festival (中秋節), the second biggest Chinese festival besides the Lunar New Year. It’s on the 15th day of the eighth month of the Chinese calendar. This day the moon is the roundest and fullest. Traditionally it represents 團圓，which is to gather with your beloved ones to have dinner, enjoy the moonlight, play lanterns, etc. 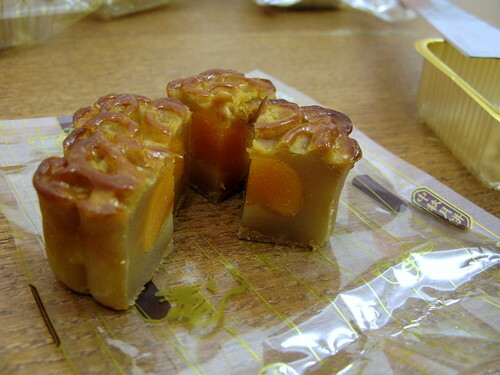 Mooncakes symbolize the moon. We give out and share mooncakes to celebrate this day. 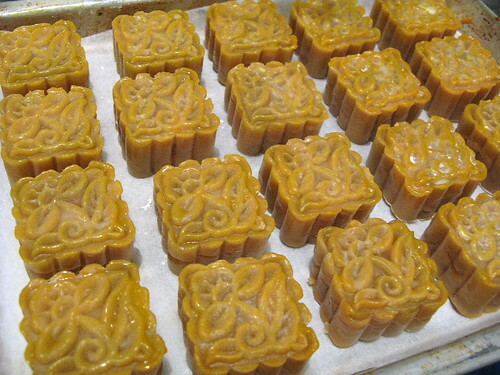 Below is the mooncake recipe. I learnt from a Chinese dim-sum chef 3-4 years before. The ingredients are quite different from western pastries. 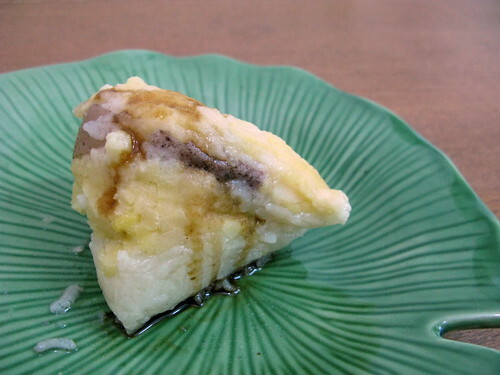 There are more photos of this recipe in Flickr . Hope you’ll enjoy. Happy Mid-Autumn! 1) Mix a) to d) which will be the crust. Rest for 30 minutes. 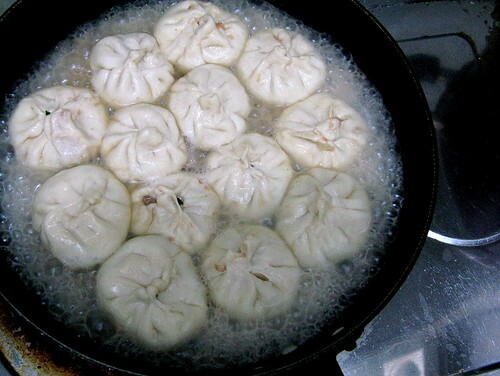 2) Divide the lotus seed paste into 10 portions. Put 1/4 tsp peanut oil in your hand. Fold the lotus seed paste in your palm. 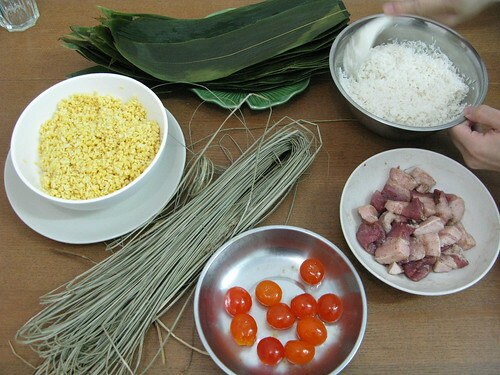 The oil will slowly be absorbed, and the lotus seed paste will soften a bit. Roll it into ball. 3) Wrap the duck egg yolk in the seed paste. 4) Sprinkle flour onto the counter. 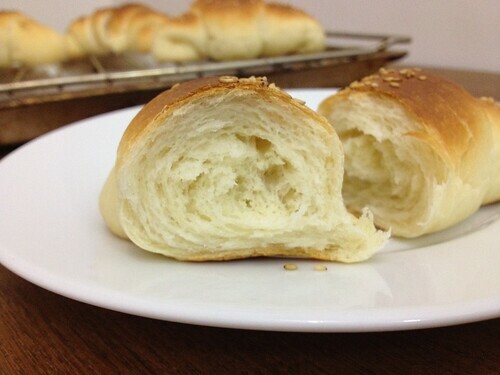 Roll the crust dough into a roll. Divide into 10 portions (9g each). 5) Sprinkle more flour on the counter. Flatten the crust dough. Big enough to wrap the seed paste with duck yolk. The dough will be very thin. Use a scraper to help taking it out. 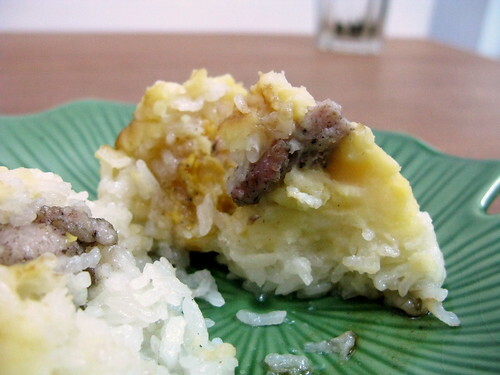 6) Wrap the seed paste with duck yolk inside with the flattened dough. 7) Dust some flour to the plastic mould to avoid sticking. Put in the dough. Press on counter. The moulded mooncake will come out. 8 ) Bake at 180C for 6 minutes. Then take out. The crust should be hardened and set. Brush some egg yolk to the patterns. 9) Bake for an extra 7 minutes. You’ll notice the patterns are turned brown as in 1st photo above with the egg yolk on. 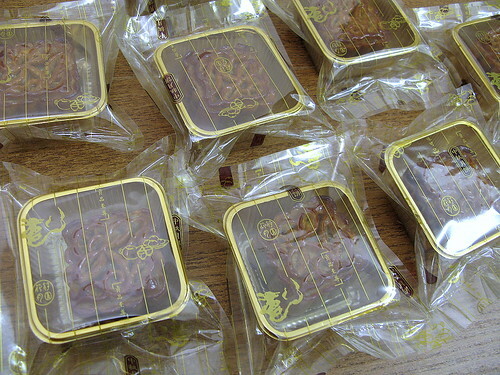 10) Rest the mooncakes at room temperature for at least 2 days. This is the process of 回油, where the mooncakes will absorb the oil from the lotus seed paste, and the crust will get shinier and tenderer.